(AP Photo/Andy Wong)Nathan Chen from the U.S. performs his men's free skating routine during the ISU World Figure Skating Championships at Saitama Super Arena in Saitama, north of Tokyo, Saturday, March 23, 2019. Chen won the gold medal. 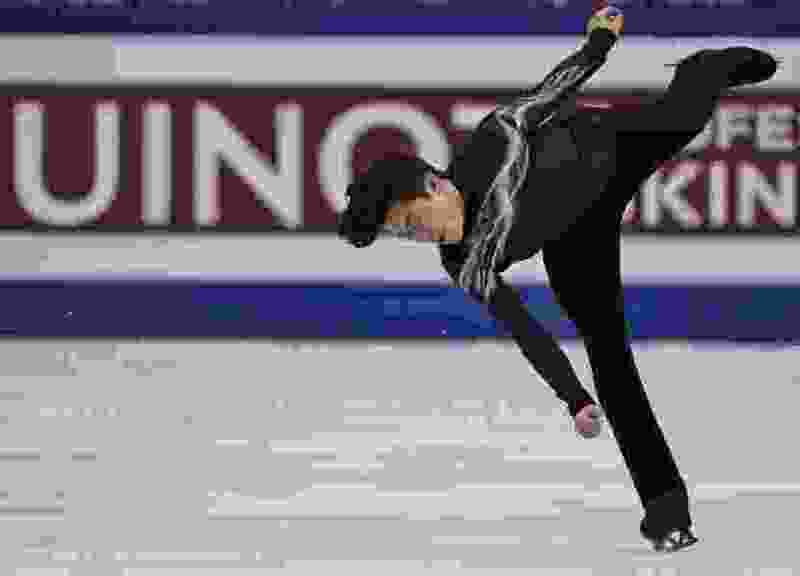 Saitama, Japan • Defending champion Nathan Chen produced a spectacular free skate on Saturday to win the gold medal at the figure skating world championships.